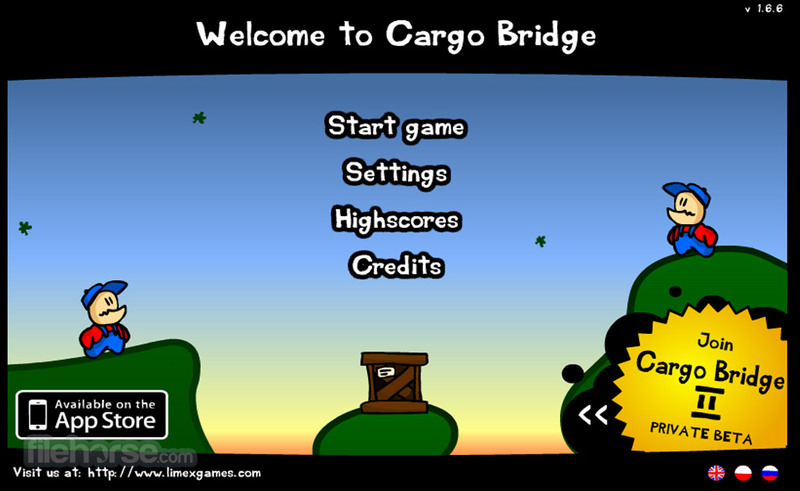 Cargo Bridge is a great online intelligence game in which you can look for the cheapest and most efficient way to build a bridges that will support and carry transport vehicles across them. 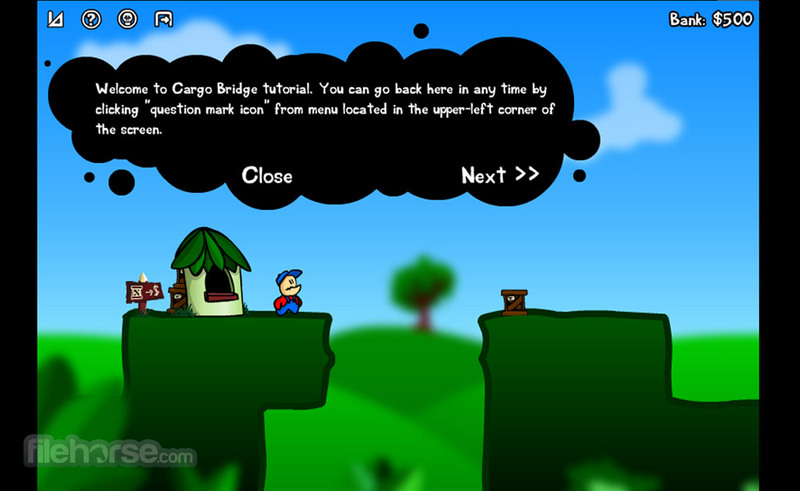 The game will start giving you simple tasks at first, but soon you will be challenged with large bridges and complicated terrain configuration that will test the power of your imagination and ingenuity to the limit. The only limit you have is funding for buying new building equipment (beams and components). 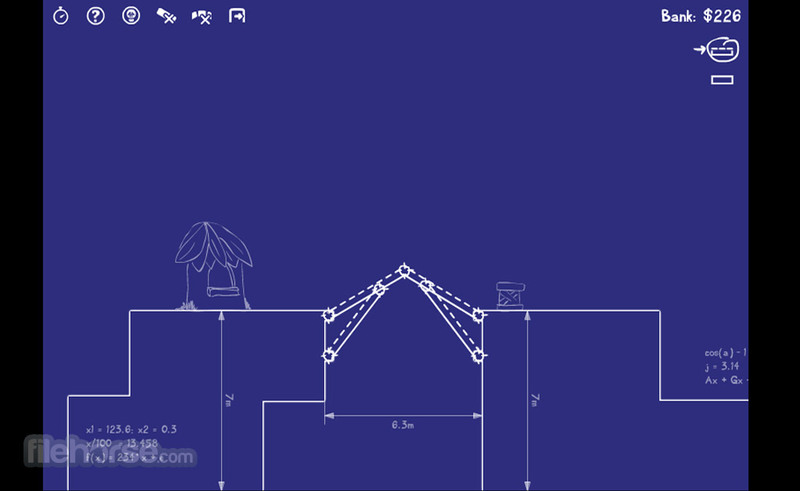 At the later levels, you will be tasked to build really big bridges on uneven terrain that will have to support very heavy loads, which will greatly increase difficulty, but still enable you to find your own way of solving the problem. 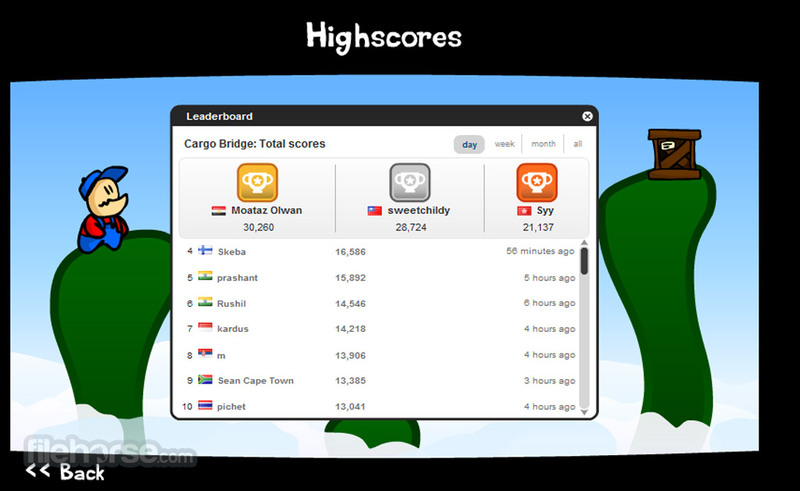 Cargo Bridge is a fast playing game that will easily show you if you have any talent for structural engineering. Give it a try!